Netanya Noosa has entered into a transformative phase being reborn as an art hotel with a permanent exhibition throughout the foyer. Enigmatic Drawings artwork is showcased throughout the ground floor of the hotel and in selected boutique shops around the perimiter. Over the coming years the entire hotel will show case works from ED & Chelsea Hopkins-Allan in every room as well as common areas. 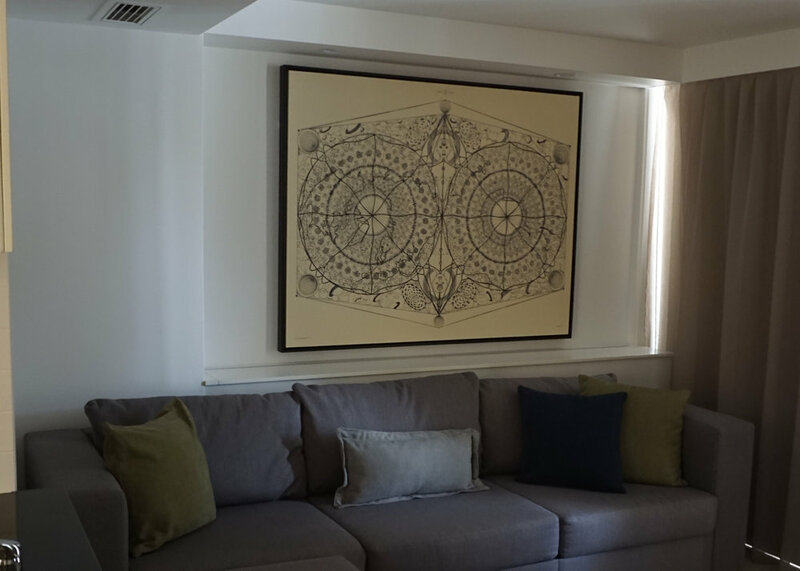 Just like Enigmatic Drawings, Netanya Noosa has an almost cult following from around the world and locally. Positioned on the beach in the most prime location in Noosa the setting perfectly compliments the Captivating art works showcased throughout the complex. A seasonally rotated display of Enigmatic Drawings & Chelsea Hopkins-Allan art works is on display all year round for viewing and purchase. 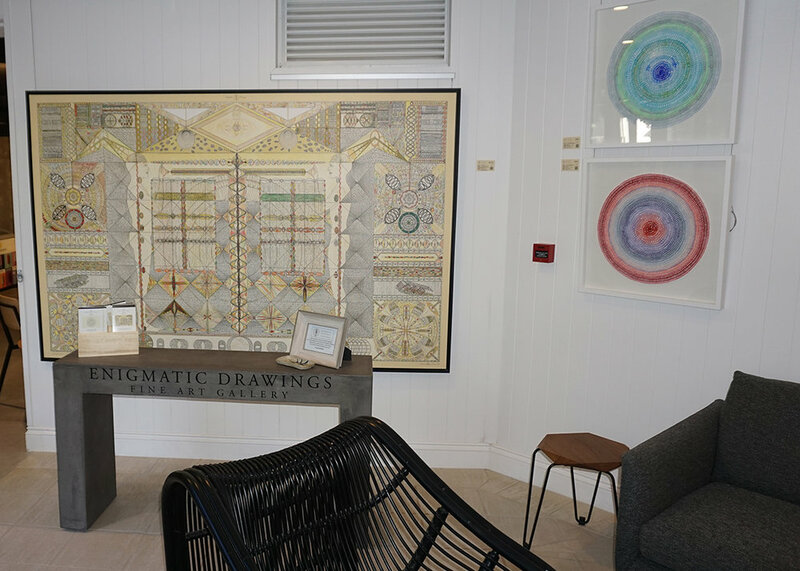 The exhibition space is manned several days a week with one of Enigmatic Drawings supporters to provide the audience with valuable information and provide guidance for any whom attempt to interpret the inexplicable. Over the coming year Netanya is undergoing a major upgrade internally and externally to bring to fruition the art hotel concept we have been working towards. In conjunction with Netanya management and Enigmatic Design Solutions the interiors are well underway with fantastic results.